The Spring 2017 season of lightweight sport rifle shooting has now concluded and we are able to congratulate the winners of the various competitions held. Semi-auto Precision Prone Unsupported - D. Henry, Nottingham City R.C. Semi-auto Mixed Prone and Standing Unsupported - D. May, Langar R.C. 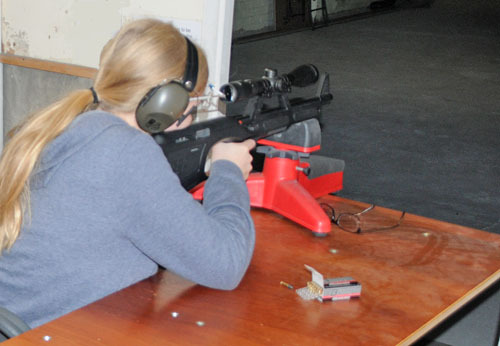 Bolt Action Benchrest - R Robbins, Nottingham City R.C. A full breakdown of the scores can be read here. If you would like to take part in future LSR league competitions, or would like more information about them, please email Maxine Woodward, via this email link. We welcome entries from any Notts. RA affiliated club. The more competitors there are the more challenging the shooting. To subscribe to our free email service with news of events and updates, send us your name and club details by email from here. If you no longer wish to receive the free news updates, email to unsubscribe.